Part of the Hollywood Foreign Press Association’s mission is to foster greater understanding through world cinema. This year 72 Foreign Language films were submitted for Golden Globes consideration. Here is an overview. Sivas is not your traditional boy and his dog story. 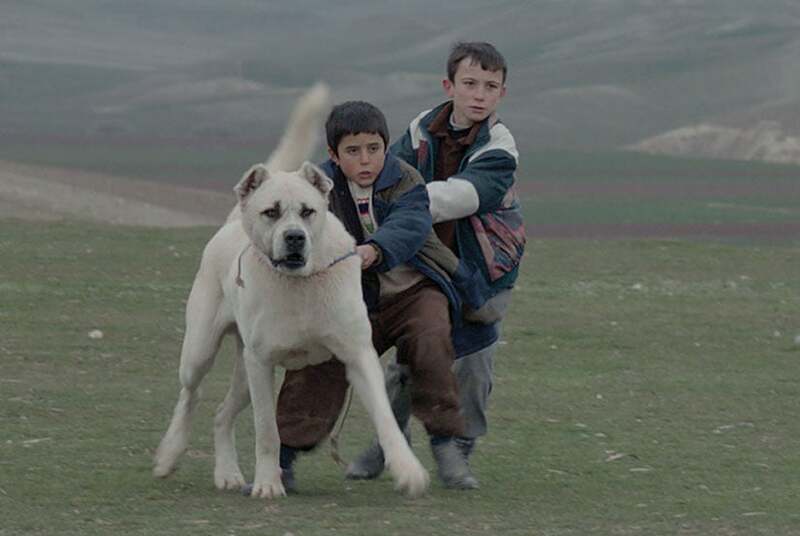 This Turkish movie focuses on an 11-year-old Anatolian boy and a fighting dog that develop a strong relationship after the boy finds Sivas the dog wounded in a ditch, left to die. Using a bleak Anatolian village in the eastern part of Turkey as its locale, the film unfolds against the backdrop of rivalry between Aslan, the boy, and his friend Osman, the son of the village head. The boys are competing to land the leading role in the school play Snow White and the Seven Dwarfs. Ultimately Osman emerges as the victor and captures the attention of Ayse, the play’s princess. Now Aslan, which means lion in Turkish, is more than determined to seek the help of his new fighting dog friend Sivas to impress the princess. The 97-minute film is the first full-length feature directorial effort of Kaan Mujdeci, a native of Ankara who moved to Germany at an early age. The leading role is played by Dogan Izci and other key principals are Turkish actors. The film gets its title from the city of Sivas where Kangal sheep dogs are believed to have originated. The picture is in Turkish with English subtitles. Sivas is a Turkish entry in the Golden Globe foreign language category. It is also the official submission of Turkey in the Oscar competition. The film originally attracted attention when it competed for a Golden Lion at the Venice International Film Festival, where it won the Special Jury Prize.